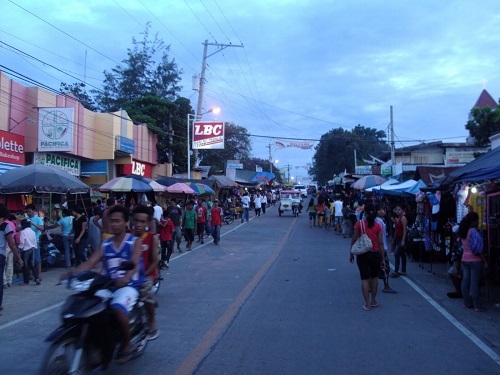 The 178th annual town fiesta of Talibon fell on May 30-31, 2008. The Diocese of Talibon, led by Bishop, Msgr. Christian Vicente F. Noel, with the able leadership of the Parish Priest, Msgr. 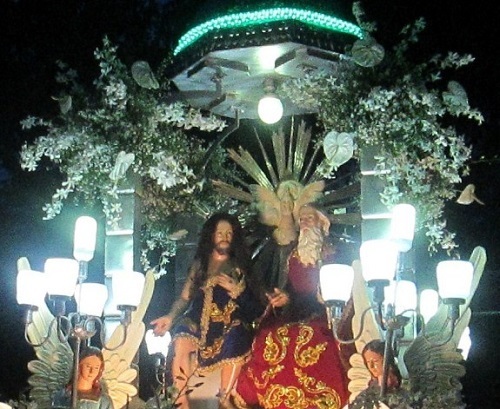 Ignacio H. Reyes, joined forces with the Local Government of Talibon, led by Municipal Mayor Juanario Item, to create a festivity worthy of the Most Triune God. With the theme of this year’s celebration being “Katilingbang Nag-alagaray, Katilingbang Nagkahi-usa diha sa Pagdayeg of Pagpasalamat” all Talibonons were called to live the life of service and to be one in their pursuit of praising and thanking God, who is the source of all graces and blessings! The fiesta social activities started way back May 10, 2008, a Saturday, with the opening of the Inter-Barangay Basketball League; followed the next day with the opening of the Inter-Town Basketball Tournament with the 1st Mayor’s Cup 2008 at stake. Elimination games followed suit and ended with the championship game and awarding of the cup on May 31, 2008 at 2:00 P.M. The cup was won by the contingent coming from the municipality of Trinidad. Nightly activities started on May 22 onwards to May 31, 2008 starting at 7:30 P.M. with the Amateur Hour Singing Contest. 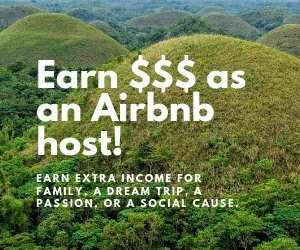 On May 30 and in order to give highlight to the coronation night of the Matron of Talibon, the Amateur Singing Contest was deferred to the following night when its “Grand Finale” took center stage. Many presentations were scheduled nightly after the Amateur Singing Contest. There was a Cultural Variety Show with sponsoring schools: BTC (Blessed Trinity College), BTES (Blessed Trinity Elementary School) and BIT-IC (Bohol Institute of Technology-International College) on the 22nd of May. A night with “The Troubadours” followed, sponsored by the Municipal Cooperative Development Council (MCDC) and then “Boxing” for the boxing enthusiasts. Boxing was sponsored by the Local Government Unit of Talibon together with the Association of Barangay Council and Federated Sangguniang Kabataan (FSK). The night of May 25 witnessed the “Battle of the Bands”, sponsored by the National & Provincial Offices and on May 26, the Talibon United Artists presented a Disco Fashion Show. The Department of Education, followed suit with the presentation of the talents of the teaching force on May 27 and on May 28, the Alturas Group of Companies sponsored a Variety Show. May 29 witnessed the presentation of the Global Hot Babes and on the 30th; a fireworks display show preceded the Coronation of the Matron of Talibon 2008. May 31, the night of the feast day was a disco gathering for all Talibonons sponsored by the Fed. Talibon Women Association, Inc. All nights were well attended. The Novena Masses started on May 22 at 4:00 PM and ended on May 30, the Vesper Day. The 1st Novena Mass was sponsored by the inhabitants of the Poblacion, headed by the Municipal Officials and the various organizations that sum up the people of the Poblacion. 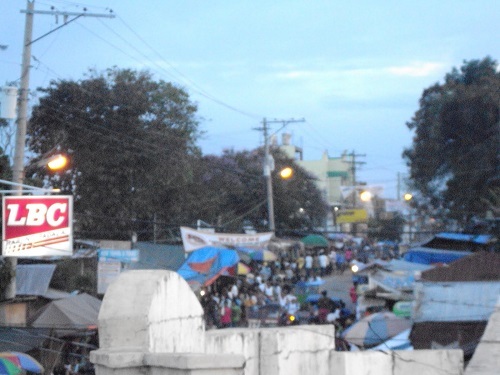 Other barangays and religious organizations were distributed among the other Novena Masses. The procession of the image of the Blessed Trinity followed immediately after the last Novena Mass. It seems the whole of Talibon gathered on this special event. The church overflowed. The church plaza was crowded with people as well as the municipal plaza across the street. The procession was solemn even with the presence of so many people. To ensure order during the procession, the priest grouped the people according to organizations and religious affiliations. The image of the Blessed Trinity was followed immediately by the priests, seminarians, lay ministers, the band, and the rest of the faithful. Because of the many attendees, the head of the procession already arrived in the church when the tail has not even moved. The fiesta day started with a “Diana” wherein a local band toured the town while playing music to wake up the people. The “Diana” started at 4 AM then followed by the saying of the Holy Rosary at the cathedral. Three Masses were scheduled for the day: one at 6:15 A.M., the Concelebrated Pontifical Mass at 9:00 A.M., and one in the afternoon, set at 5.00 P.M.
All Masses overflowed with people yet more so during the Pontifical Mass. Priests under the Diocese of Talibon plus visiting priests concelebrated with Bishop Noel. With the long homily and the queuing of people for offertory and communion, the Mass took more or less two (2) hours to finish. The Fluvial Parade followed immediately after the Concelebrated Pontifical Mass wherein the image of the Blessed Trinity, together with other barangay patron saints, boarded the boats at the pier and paraded in the local waters following a specified route. “Big” boats and native bancas were decorated with buntings and flaglets for a more festive look. Back at the pier, the images disembarked and paraded back to the cathedral. Everywhere in Poblacion, you see so many people: in the main street, side streets, and in every nook and corner. Local merchants were all smiles. . . . business was booming! People were coming in and out of houses; partaking of the food offered by the town residents. And everybody was welcome, that is, only until supply lasts. Our country is besieged with economic problems, yet in Talibon, you cannot feel the economic crunch. Even if for one day only, people splurge on goodies, trinkets, “ukay-ukay”, and whatever!